….or sadly queasy entry to solicitors’ profession? On 8 November 2018 I attended an interesting and yet disappointing forum on the future of legal education. All the expected speakers were there from the SRA, LSB, TLS, TBC, CiLEX and other alphabet spaghetti but I came away wondering how the proposed changes to qualifying as a solicitor were going to help students with huge debts, law firms in finding suitable staff and ultimately the consumer who needs, properly trained, flexible and amenable people to help them. I was not surprised that the SRA said it was not interested in regulating education & training. This follow its lack of concern over the demise of funded training for solicitors by some law firms after the removal of the 16 compulsory hours requirement in November 2016. However, what they said they were about was the maintenance and protection of standards to protect the consumer. The SRA clearly wanted to reign in the hundreds of educational institutions selling law degrees and the LPC who have been able to set their own exams with their own pass rates. By setting a compulsory universal exam (SQE) with a single pass or fail level it takes us back to the common professional exam. But the content of the compulsory SQE apparently does not deliver what law firms need, according to the University of Law, so it increases the amount of input required by thousands of autonomous law firms over further training and the work experience element. Isn’t this a contradiction? The SRA does not monitor education and training in law firms unless other things go wrong. 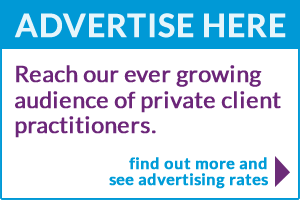 Yet a significant part of the training of solicitors will be left, not with the university sector, but to law firms. Some firms will do an excellent job, others will not but the SRA does not regulate training and education. So much for protecting the consumer. It is not in fact necessary to be a graduate but rather other equivalent experience will count, such as Apprenticeship. However, most schools’ career service staff will undoubtedly continue to encourage bright pupils to go to university. This will still mean there will be a high level of debt for would be solicitors – currently estimated at £100,000. The SRA promised that the SQE would reduce the cost of qualifying. At present the cost of undertaking the LPC (excluding living expenses) is approximately £16,000. To sit the SQE the fees are yet to be finalised but are likely to be approximately £4,500 but that does not include any course of tuition to prepare a student for the exam. Whilst the Apprenticeship levy may help some law firms to offer to meet some of the costs for a student, it does not feel to me as though there will be much saving for the student. There will be lots of new costs for legal education institutions as they have to revise their courses to meet the new SQE and lots of costs for law firms employing would be solicitors in filling in the gaps in their knowledge. The Law Society spokesman said that solicitors had expected the work experience part of the new process to follow both SQE 1 and SQE 2 not be sandwiched in the middle. It feels to me a bit like the way architects are trained with two periods of work experience sandwiched between degrees. I wonder how many trainee architects actually qualify and how many choose to stay working in firms where they have found work experience without finishing their qualification. Might that not happen here if the costs are too high? Ethics will pervade all three areas. At the forum, the Vice Chancellor of the University of Law revealed that they have been conducting research for some time with law firms about firms’ satisfaction with the content of the SQE to prepare a person for a period of employment. The outcome of this research is that law firms do not believe students with the SQE will be prepared for the world of work. As a result additional content may well have to be devised to address some of these concerns in order to help students in the job market. Law students will still need two years of qualifying periods of employment but not necessarily with the same firm or institution. In theory, this provides the opportunity to gain a wide and varied experience in different parts of the legal services market place. In practice, students will spend a lot of time searching for opportunities to add to their portfolio in the hope they can find enough ‘qualifying’ periods of work to count for the two year period before taking the SQE 2. What commitment could be expected from the student to stay with the firm for a period of time so that the firm can recoup some return on its investment in that person? Apart from study, exams and qualifying work experience a person will still need to satisfy the SRA that they are of a suitable character to be a solicitor in order to qualify. 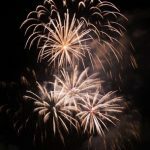 There is a world of difference between a major law firm and its structured approach to training and developing talent and those in practice on the High Street, working in public service and the third sector. Those wishing to practice in the less lucrative areas of law and practice, where the vulnerable and the poor need help, are unlikely to find structured training or be able to fund expensive law courses because levels of income will not stretch to cover these costs. I came away from the forum thinking that in fact more practitioners need to learn to be educators and supportive of those seeking the CiLex qualification, given its studies are undertaken whilst working. CiLex is developing such useful ideas as the impact of legal technology on education and training and developing standards on emotional competence too, something not mentioned as part of the SQE journey. Much was said about the opportunities the new SQE provides for flexible and diverse training and development opportunities but that is only true if all law firms, public service and the third sector also prepare to offer experiences which challenge and support the lawyers of the future to choose to work for them. Experience has shown me that there are many smaller law practices which are now unwilling to entertain the expense of providing any training for staff at all now that there are no compulsory hours to fill. What hope will there be that these same firms will suddenly develop the know how to identify the sort of students they want and be able to provide them with qualifying periods of employment, as opposed to expecting them to be a general dogsbody. I hope I am proved to be wrong. There may be many law firms champing at the bit to ask for my help to design and maintain a fully developed range of competent staff. Do by all means contact me. I can help you. What does all this mean to the poor client who is paying for legal services? I suspect not a lot until something goes wrong. The research the Law Society undertook as part of the price transparency initiative was fascinating. It showed that the consumer presumes all people offering legal services are regulated, insured and trained. How wrong they are. Even the Legal Services Board’s own Consumer Panel has warned there is too much emphasis by regulators on price to the detriment of quality – I could not agree more. Choose which legal services should be regulated rather than have a haphazard bunch the logic for which nobody really understands. Have one regulator who regulates those choosing to operate in the legal services sector so that all regulation is equal and not the completely confusing and messy result we have at present from nine separate regulators. Have a short, transparent basic training process for selecting suitable characters to work in the legal sector which is based on merit and not wealth and connections – a bit like a boot camp so that people can see if it is for them just as much as assessors can assess whether they have the right emotional intelligence to make good lawyers. Then encourage those selected to gain the right base of legal knowledge to progress to an operational level of choice which can be achieved through a variety of means – attending classes, self-study, electronic study etc but which in the end means sitting an improved version of the combined SQE, The Bar Exam, CiLex etc. Encourage all types of legal organisation to take part in the basic training selection process and select firms, chambers, government departments, third sector organisations, networks of providers (e.g. local law societies, groups like LawNet etc) to offer six month work placements which are approved as meeting a minimum standard by the regulator. These work placements could be placed on an approved register for ease of application. On completing each stage of acceptance, training and development the legal practitioner will be signed off to practice to their chosen level. My dream is that there will be one funnel out of which will drop regulated, trained, insured and competent practitioners which the consumer can have confidence in. This confidence will be maintained because there will be a requirement for updating knowledge and competence, say, every five years. It will also be easy to progress if desired between professions and between disciplines. The consumer should also be under no doubt as to which legal services can be offered by those who are not regulated, trained, insured and competent. The consumer is entitled to choose whichever provider it wants from a diverse marketplace but the risks to them need to be spelt out at every opportunity by the regulator, government and everyone involved because they are not understood. We all know that value for money is not finding the cheapest provider but finding a responsible provider from whom they can obtain redress in the event things go wrong. The LSB and the SRA say they aim to protect the public interest but it is hard to see how the SQE as it stands helps to achieve this objective. 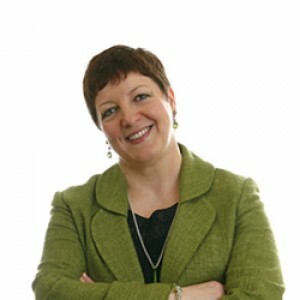 Gill Steel is a solicitor with more than 35 years specialist experience in Wills, Probate, Trusts, Taxation of Trusts and Elderly Client issues. She is an active protagonist of Private Client law and a well-informed and rich source of knowledge for practitioners. As a compelling seminar and conference speaker both in-house and at public events Gill has a strong gift for making topics practical, engaging, authoritative and informative. Gill is the author of The Trust Practitioner's Handbook (currently on its 4th edition) and its companion book the Trust Practitioner’s Toolkit both published by the Law Society, has written The Street-wise Guide To Getting The Best From Your Lawyer, published by Edward Everett Root, which is her first book for the general public, and she contributed to Equity & Trusts published by Hall & Stott Publishing. 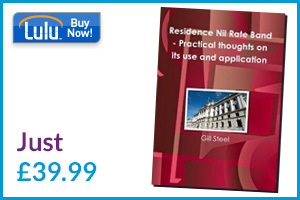 Recently LawSkills has self-published “Residence Nil Rate Band – Practical thoughts on its use and application” available from Amazon. Are you continuing to be competent? Do you enjoy a good, focused discussion? How does your firm gain competitive advantage?